This work involves collecting and maintaining data, detecting trends and forecasting future needs. In addition, financial accountants prepare detailed statements and communicate financial information to company leaders and audiences that do not have an extensive accounting background. 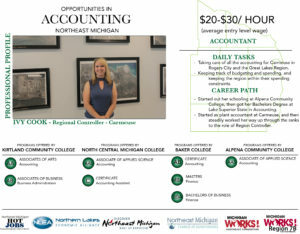 -Taking care of all the accounting for Carmeuse in Rogers City and the Great Lakes Region. -Keeping Track of budgeting and spending, and keeping the region within their spending constraints. 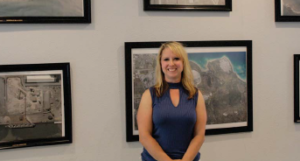 -Started out her schooling at Alpena Community College, then got her Bachelors Degree at Lake Superior State in Accounting. -Started as plant accountant at Carmeuse, and then steadily worked her way up through the ranks to the role of Region Controller.